Thomas enlisted on 27th July 1900. He was 19 years old, and was a Hair Dresser by trade. From 15th August 1900 to 7th August 1903 he served in South Africa. After his term of engagement expired he was discharged but soon re-joined the colours. He entered the war in France on 16th August 1914 as part of the Regimental Medical Officer's team for the 1st Bn. East Surrey Regiment). He continued to serve abroad until 28th July 1915, when he was posted back to the UK. 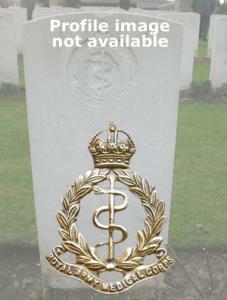 He was discharged on 9th March 1917. Thomas reenlisted after the war, on 20th August 1919. His service number changed to 205847, then 7252025. He served on S.S. Syria from 15th November to 3rd December 1919, then he served in the UK with No 15 Coy until 19th August 1920. He was the husband of Sarah Veighey (nee Patty).